Still figuring out what to do this weekend? Fret not as we've got you covered with some of the best events taking place from April 11 to April 13. To help you decide on where to head out to make the weekend worthwhile, below are Qatar Living's 6 suggestions! Entry: Entry is free for all. The hottest sale, Qatar Super Sale is going on and with 80 percent off on absolutely everything! Brands on sale include Ed Hardy, Silver Dagger, Von Dutch, Juicy Couture Christian Audigier and many more. This is one sale you simply can’t miss for a chance to get your hands on some gorgeous items at amazingly affordable prices! 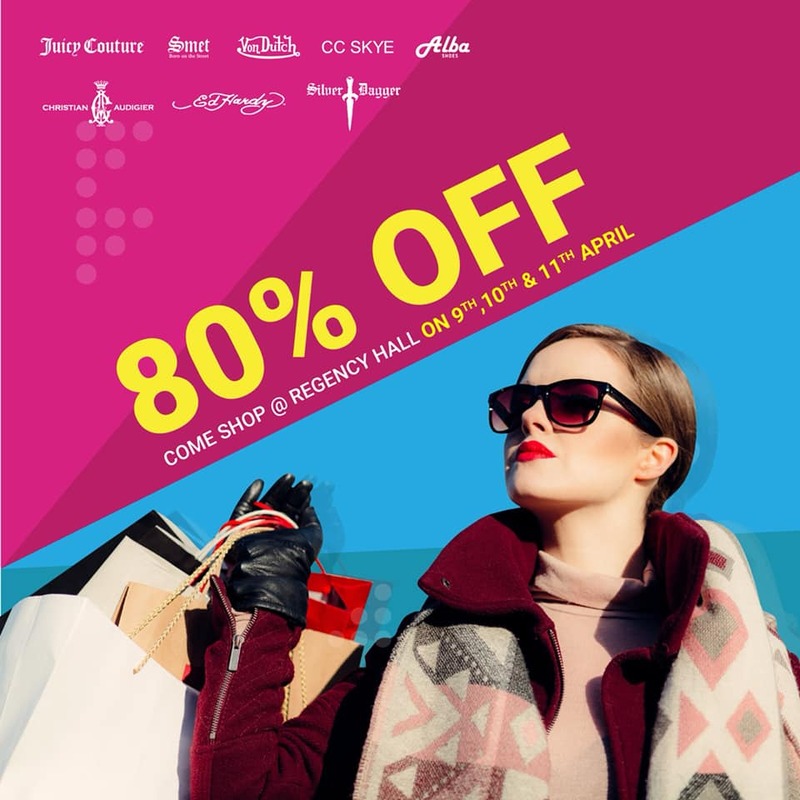 The sale lasts for only three days from April 9 to April 11 at Regency Halls, directly opposite The Mall shopping center on D Ring Road from 10 am to 10 pm. So get your shopping buddies together for this ultimate shopping experience. Cultural Village Foundation – Katara in cooperation with the Embassy of Kyrgyz Republic in the State of Qatar is hosting Boz Jol Exhibition. “Boz Jol” is a symbolic representation of the world duality, where there is space for the choice of the Path - the innermost, Middle - the only true path to which a person goes his whole life. Boz Jol, the Middle Path that expresses in the Kyrgyz philosophy the essence of the dialectical combine in the unity the opposites of light and darkness, the ability to live by the laws of Mother Nature that always keeps its balance. 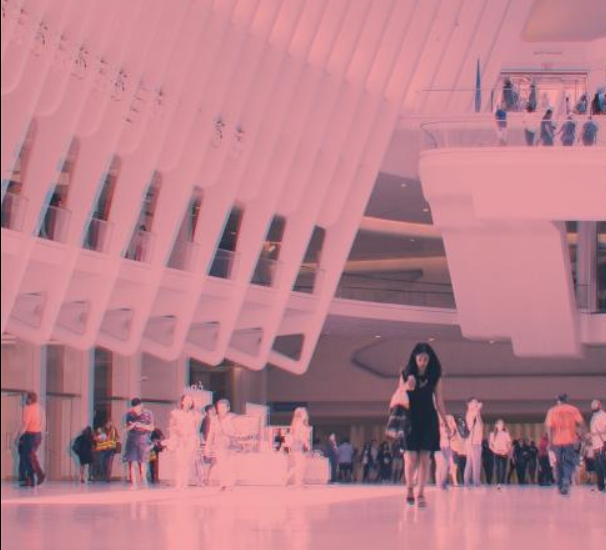 X-Ray Fashion which premiered during the 2018 Venice Film Festival shines the spotlight on the inner workings of the world’s second largest polluter: the fashion industry. Katara Cultural Village is hosting Palestine Cultural Festival under the patronage of Palestine Embassy in Qatar. The exotic cultural festival started on April 4 and will run until April 13, from 10:00 am-1:00 pm and 4:00 pm to 10:00 pm at the southern side of Katara. 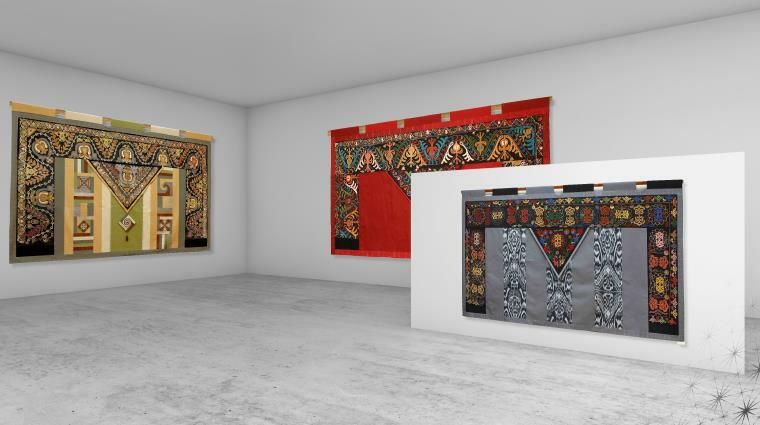 The festival is featuring an array of activities including traditional fashion shows, lectures and poetry seminars, art exhibition, and Palestinian Dabka and AlZajl. In addition to that, the festival is also showcasing beautiful traditional handicrafts, home decors, handmade bags, jewelries, clothes. Along with shopping, one can also enjoy authentic Palestinian cuisines at the festival. Visit www.palestineinqatar.com for more information. It's the perfect gateway shopping, food adventure and fun! The 4th edition of Doha Islamic Convention 2019 is set to take place on April 12-13 from 6:30 pm to 10:00 pm at the amphitheater in Katara Cultural Village. This edition’s theme is The Creation. “The very existence of Humankind, Unseen Angels, and the Universe itself is a clear reflection of a Creator”. Be part of thought-provoking two-days conference, where world renowned Islamic Scholars will join together to discuss, explore and share the miracle, meaning and purpose of the creation, and through it understand and reflect of the one and only Creator. 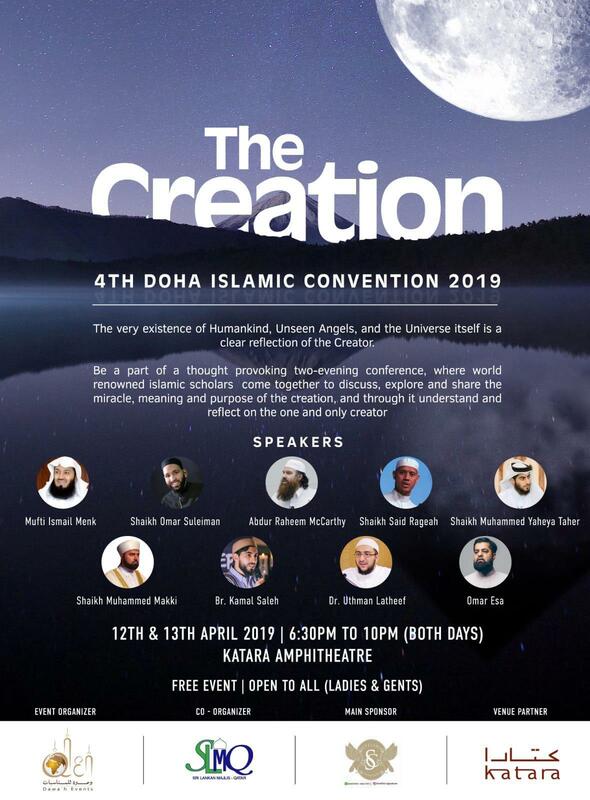 Speakers of this conference are Mufti Ismail Menk, Shaikh Omer Sulaiman, Shaikh Abduraheem McCarty, Shaikh Yahya Tahir (Imam Sate Masjid), Shaikh Muhammad Makki (Imam Katara Masjid), and Br. Kamal Saleh. Sheikh Faisal Bin Qassim Al Thani Museum (FBQ Museum) is hosting Qatar – India Cultural Exhibitions in line with the Qatar-India 2019 Year of Culture, in partnership with the Embassy of India in Qatar. The exhibition started on April 5 and will run until July 31. Composed of five main topics – community, trade, arts, food and incense, the exhibition takes one on a journey to explore the rich and diverse Indian cultures, the long historic links between Qatar and India, and cultural similarities between Qatar and India. Complementing the rather historic exhibition at the FBQ Museum’s main hall, an exhibition by Indian miniature artists Ajay and Vinita Sharma will be opened simultaneously at FBQ Museum’s new contemporary art space The White Majlis. For more information, visit www.fbqmuseum.org.